Thank you to the Victorian hockey community for their patience as we undertake the biggest change to our facilities in decades. 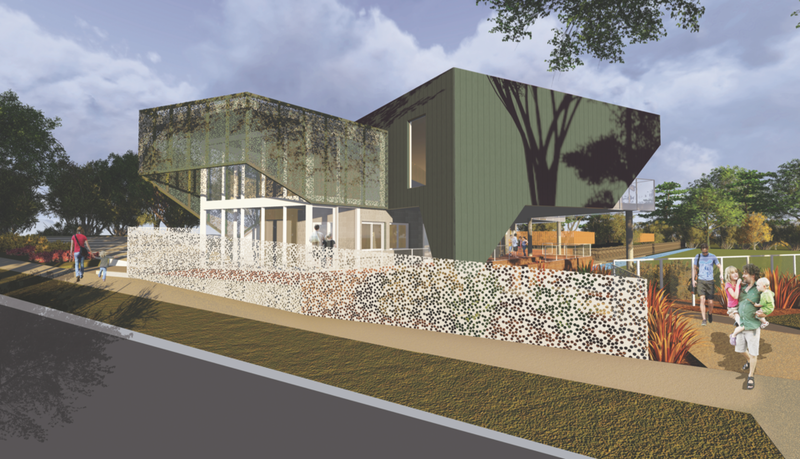 It's been a long time coming, but Camberwell Hockey Club are finally underway with their clubhouse redevelopment. Battling through various different planning process stages, approvals, and general red tape, the old pavilion has finally been demolished and our brand new home is well underway. 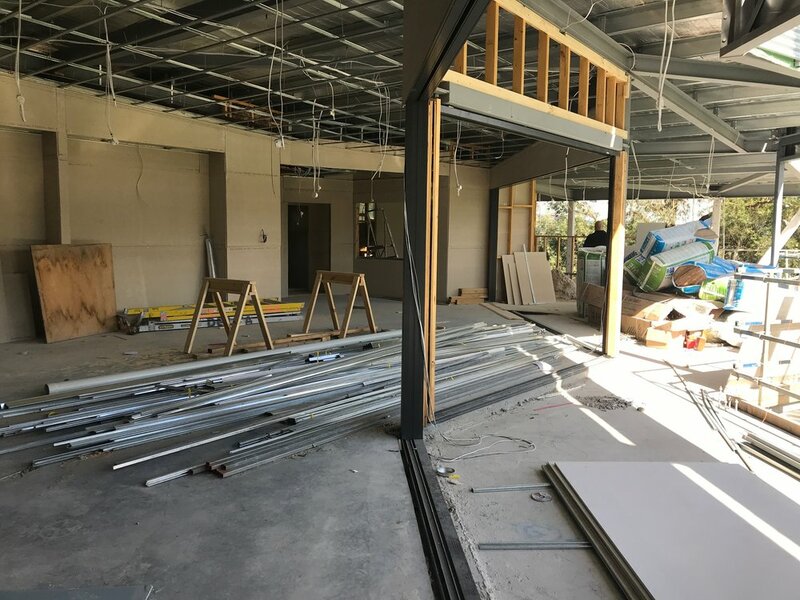 It's unusual to have an opportunity to overhaul a clubhouse like this, so in conjunction with the Boorondara Council and Ireland Brown Construction, Camberwell have something very special on the way. We've taken full advantage of this rare opportunity to develop something worthy of the next phase of our existence. As the largest club in Victoria, and still growing, our existing facilities were beginning to feel very tired. Barely capable of supporting a quarter of us, the the old pavilion was only just scraping by in 2017. 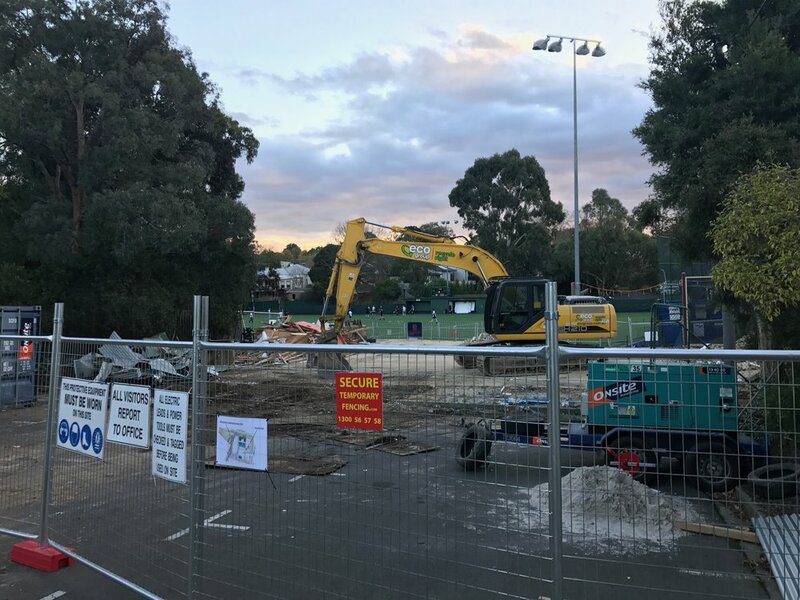 With our new facilities, the Camberwell Hockey Club will finally have a place to call home, that can support our ever growing needs for the next phase of our development. Our players are the core of our club, our very reason for being, so we wanted to ensure that every single one of them, from the first timer Hook in2 Hockey kid, to the seasoned premier league veteran had access to nothing but the best facilities to help their game. A brand new gym, AV/Match Review equipment, spa, state of the art ice baths and a dedicated physio space are just a few of the improvements we're adding to the facility for our players. 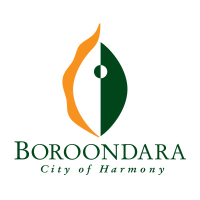 This entire project wouldn't have been possible without the amazing support we've received from the Boroondara Council. It's refreshing to see our sport receive such attention and budget from the council, who are genuinely committed to improving the quality of sport and community facilities around the area. 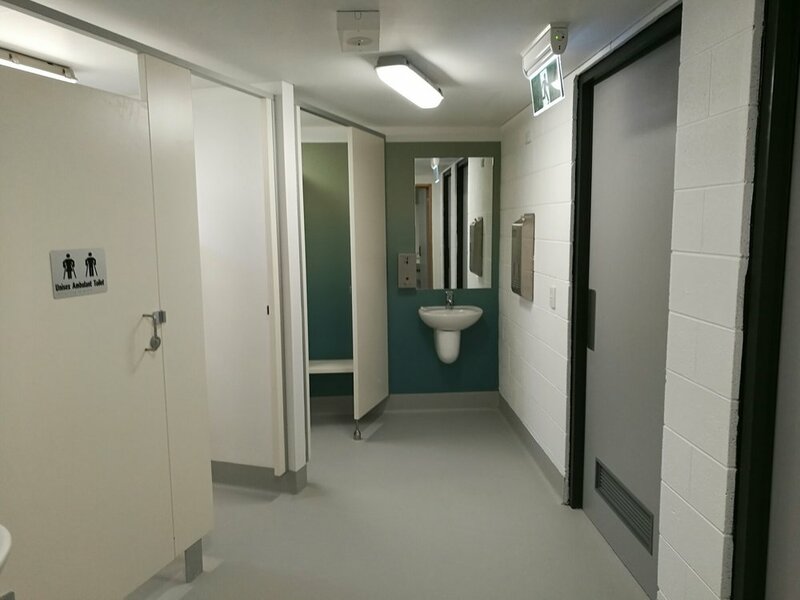 Ireland Brown Cosntructions have been nothing but professional and on time since commencement of the project, our thanks to them for their hard work on our new facilities. In the depths of winter, in the middle of the season, demolition finally begins on the old Matlock Reserve pavilion, making way for our brand new building. Strange perspectives appear out of nowhere, with the ground unusually visible from Carinda Road. Carparking becomes chaos, spectators from competing clubs patiently deal with our difficult access conditions. 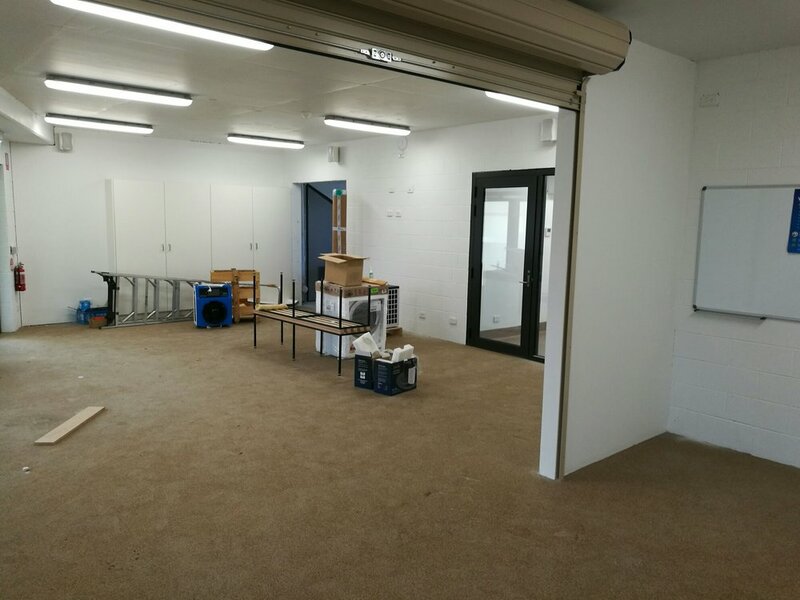 Now a few months into the project, the club has begun to settle into their new temporary accomodation in the portables. The power crisis still hasn't been resolved, and the massive generator powering our lights continues to be a bone of contention with our neighbours. After patiently waiting for foundations to be poured, we finally start to see the structure emerge out of the ground. With the Christmas break now in our rear view mirror, Ireland Brown are back on site completing their work. The first floor concrete slab has been laid, and the steel frame for the first floor is now well and truly giving us a nice impression of the scale of this project. As we start to get our first peak inside our new facility, things are really starting to come along. The elevator has been installed and the internal floor plan of the first floor is really beginning to make an impression. The extent of the view from the decking is now finally realised, something that really must be seen to be believed. Click each picture on the right for a description of what you're looking at. 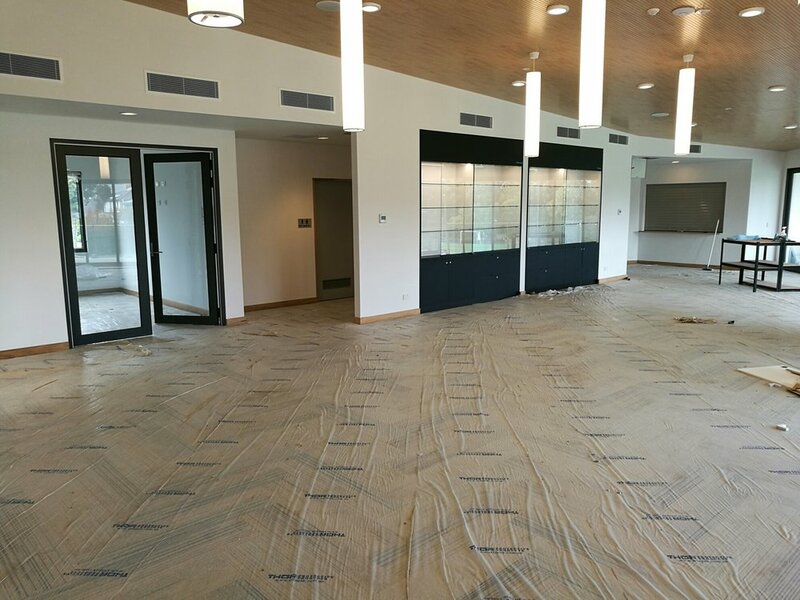 Now approximately one year into the project, we're finally getting ready to move into our new home. The final touches are being taken care of, and our temporary accomodation, 'the village', is soon to be removed. Planning is now underway for our big move, training organised for our brand new canteen & bar operation, and network/AV infrastructure installed. With the Matlock Rooms now officially opened by the council, Camberwell Hockey Club have started to settle into their new home, hosting a number of events and perfecting training and match day routines. 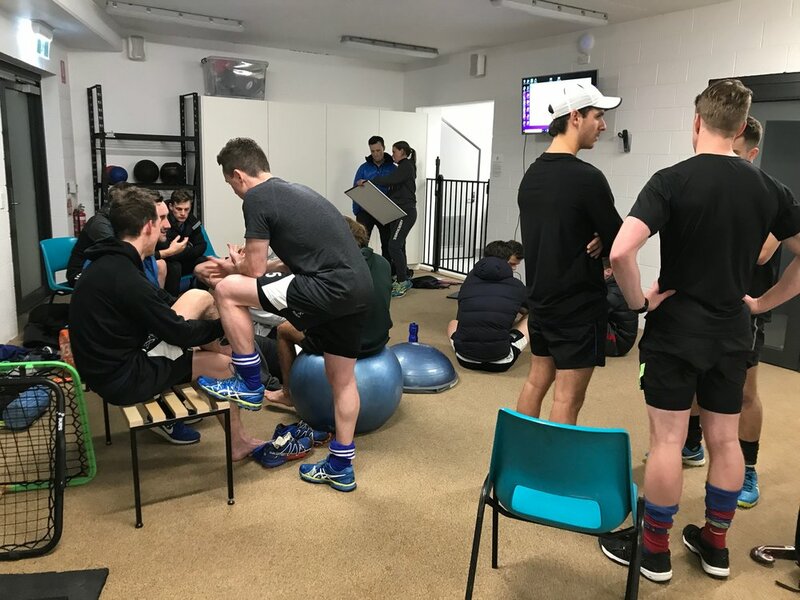 The social space has already proven itself as an excellent facility for us to host many club events, and the Gym is really shining as not only a great place for fitness and warmup, but recovery and team meetings too. The 2017 Men’s Premier League and Men’s Premier League Reserve trophies sit front and centre in our beautiful new trophy cabinet. The cabinet features a number of interesting artefacts, including the ball used to score the match winning goal in our first top grade premiership, way back in 1938. 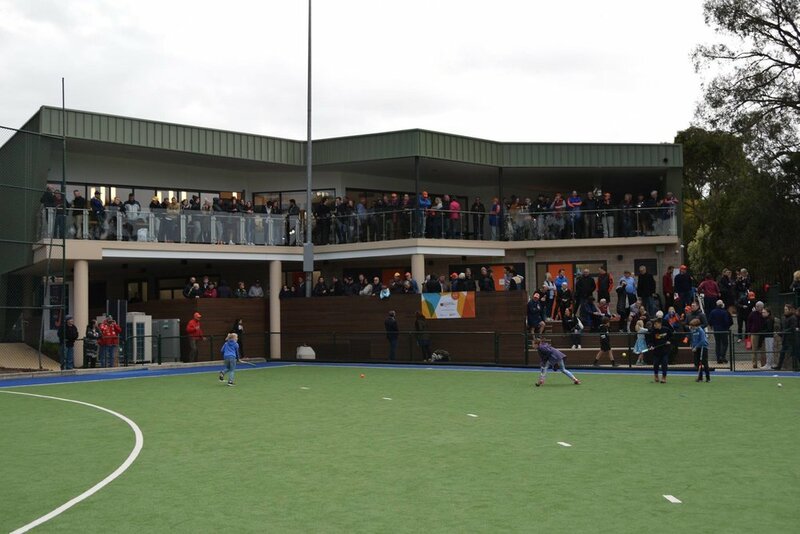 The beginning of one of our largest ever home and away crowds starts to form to watch all four Camberwell Premier League sides take on Doncaster Hockey Club in the final round of the 2018 home and away season.